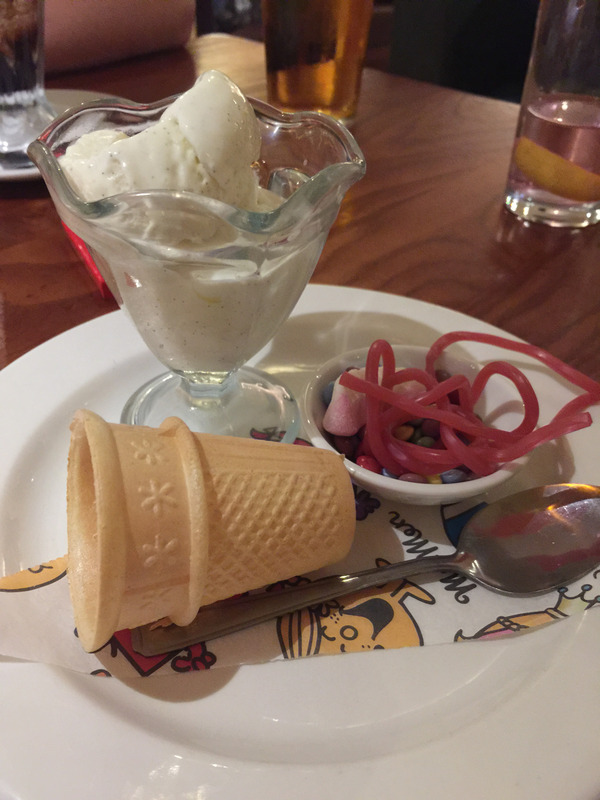 This week we were invited along to our local Beefeater restaurant to experience a family meal and see for ourselves the new refreshed Mr Men menus and activity packs for the little ones. 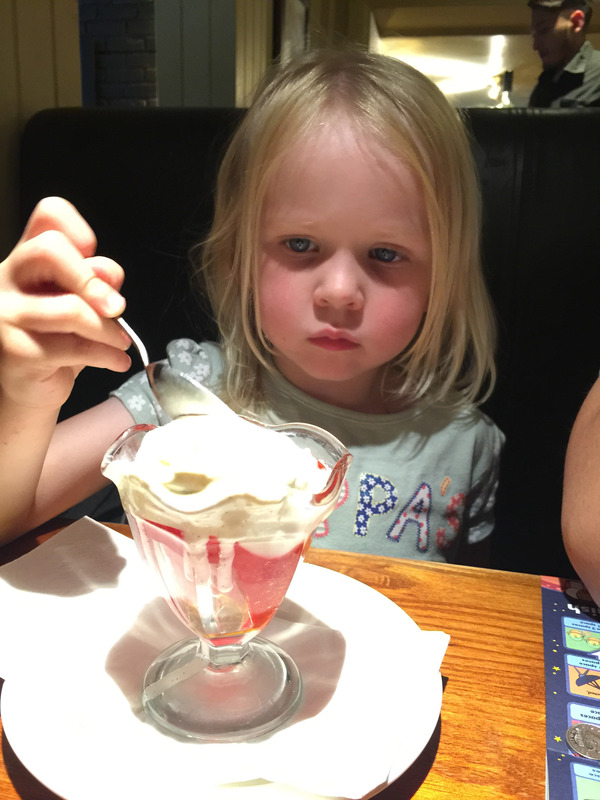 I love our local Beefeater, it is really family-friendly and good value. 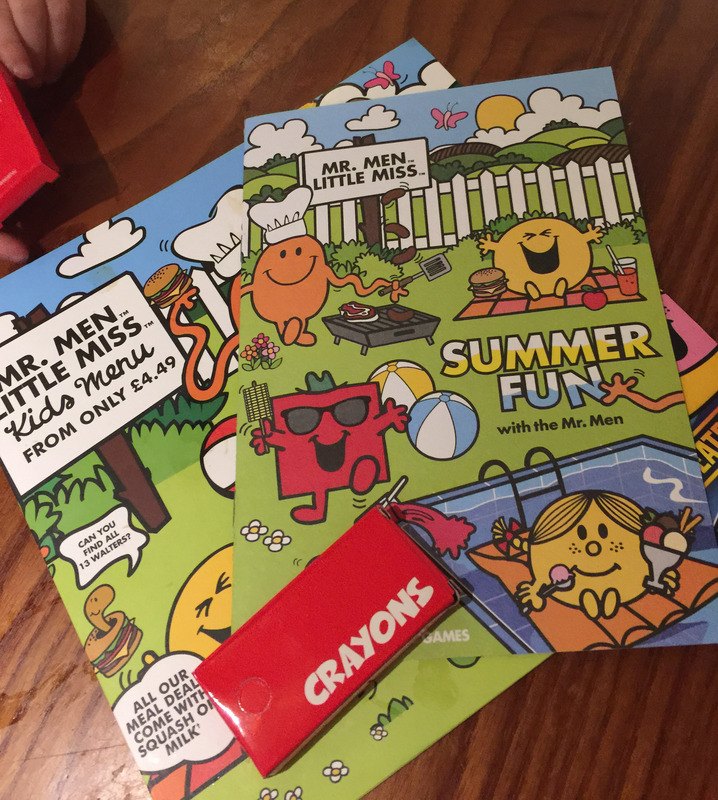 Dine with Mr Men and Little Miss at Beefeater this summer, along with the themed menu the children were given a fun Mr Men and Little Miss activity booklet and pack of crayons. This kept them busy whilst we were waiting for our food. They especially enjoyed the Mr Men Space Game game which was based on snakes and ladders. You could use a coin for the dice and counters so no need to worry about carrying a dice around with you. The food was delicious and the children’s meals came on Mr Men and Little Miss greaseproof paper which they loved. Both children chose 3 courses for £5.99 which completely filled them up, and perhaps even defeated our little 3 year old. We all enjoyed the experience and the Mr Men and Little Miss theme is sure to be a big hit with children. 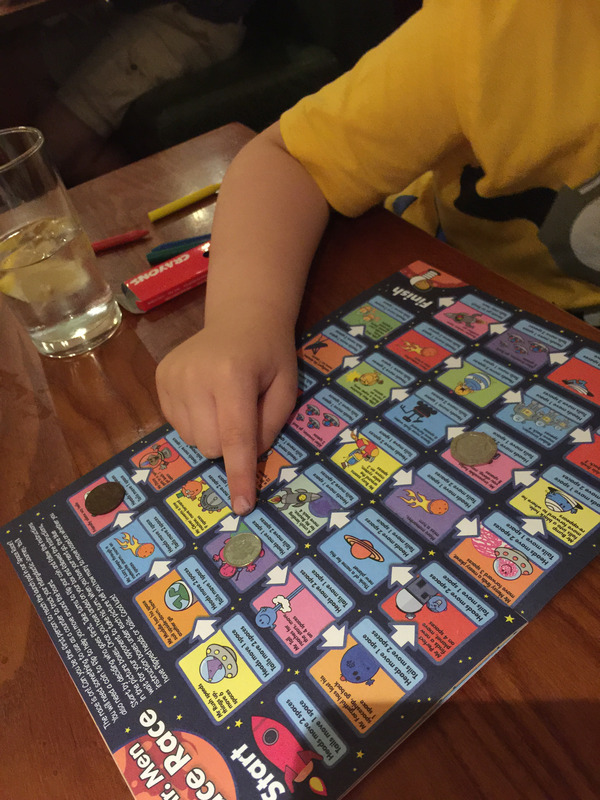 So head down to your local Beefeater and don’t forget kids can collect a FREE Mr Men or Little Miss toy with every 2 or 3 course kids meal- there are 6 different ones to collect with a new one each week. Disclosure – we were given a voucher in exchange for our honest review. We really enjoy eating in our local one. It has a great outside area for playing.